Text messaging often gets a bad rap for contributing to illiteracy and high-risk behavior such as reckless driving. But a social welfare professor at the University of California, Berkeley, has found an upside to texting, especially for people who feel stressed out, isolated and alone. 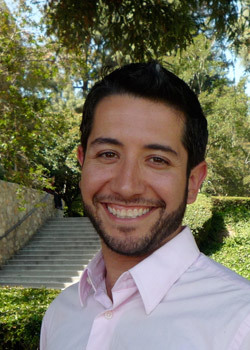 Adrian Aguilera, a clinical psychologist who treats many low-income Latinos for depression and other mental disorders, said his patients report feeling more connected and cared for when they receive text messages asking them to track their moods, reflect on positive interactions, and take their prescribed medications. “When I was in a difficult situation and I received a message, I felt much better. I felt cared for and supported. My mood even improved,” reported one Spanish-speaking patient in Aguilera’s cognitive behavior therapy group at San Francisco General Hospital. 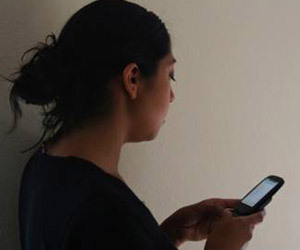 The project began in 2010 when Aguilera developed a customized “Short Message Service (SMS)” intervention program, with the help of UCSF psychologist Ricardo Munoz, in which Aguilera’s patients were sent automated text messages prompting them to think and reply about their moods and responses to positive and negative daily interactions. The psychologists published the results of the project last year in the journal, Professional Psychology: Research and Practice. Aguilera has since been awarded a $75,000 grant from the Robert Wood Johnson Foundation. “We are harnessing a technology that people use in their everyday lives to improve mental health in low-income, under-served communities,” said Aguilera, whose passion for addressing mental health issues among the poor was sparked while growing up in a Mexican immigrant community in Chicago. Recent statistics bear out Aguilera’s outreach strategy. The 2011 Pew Research Center’s Internet & American Life Project survey found that African American and Latino mobile phone owners send and receive more text messages than do Caucasians. Of the 2,277 adult cell phone users surveyed by the Pew Foundation, the most active senders and receivers of text messages (at least 50 messages a day) were non-whites, earned incomes below $30,000 and did not graduate from high school. Aguilera came up with the texting idea when he realized that many of his patients had difficulty applying the skills they learned in therapy to their daily lives, possibly because of the many stressors they routinely faced. They could not afford laptops, electronic tablets or smart phones, but most had a basic cellular phone and a prepaid monthly plan. The feedback from patients offers new insight into the human need for regular contact or check-ins for mental health professionals, even if only through automated technology, Aguilera said. While the text-messaging sessions are designed to last only a certain number of weeks, about 75 percent of the patients requested that they continue receiving the messages. When the program stopped for a week due to technical problems, some really noticed the difference.